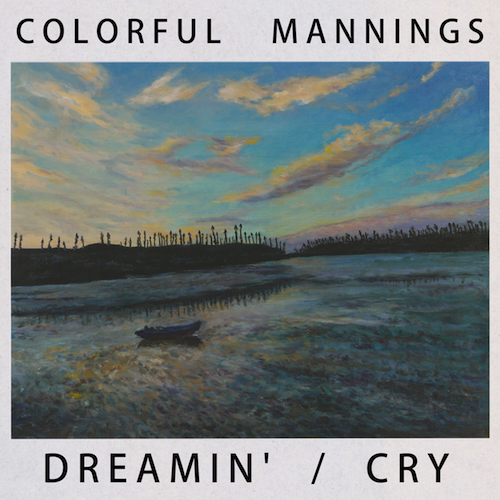 Colorful Mannings will be releasing their new EP “Dreamin’ / Cry E.P.” on Nov 28th. Its sound is influenced by the genres of minimal techno and 80’s styled new wave. The song is produced by KOSEN (vocals / songwriter / multi-instrumentalist), with Canadian singer; Sahhari is featured in the song as a vocal. As the 2nd track, the band made “minimal techno style” song, titled “Cry“. KOSEN has a vast amount of experience as a Film/TV music composer, and he plays and records most of instruments in his songs.